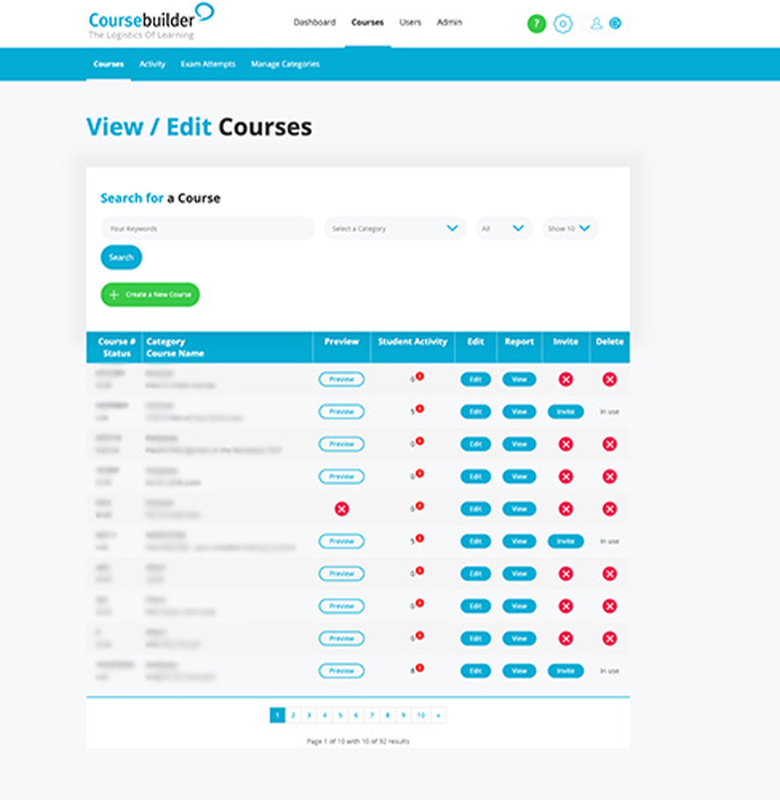 Manage and publish course material. Mange all your teachers and students. Create, view and mark exams. 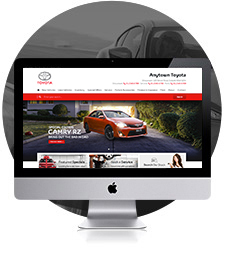 Customise your interface look and feel, including uploading your corporate logo. 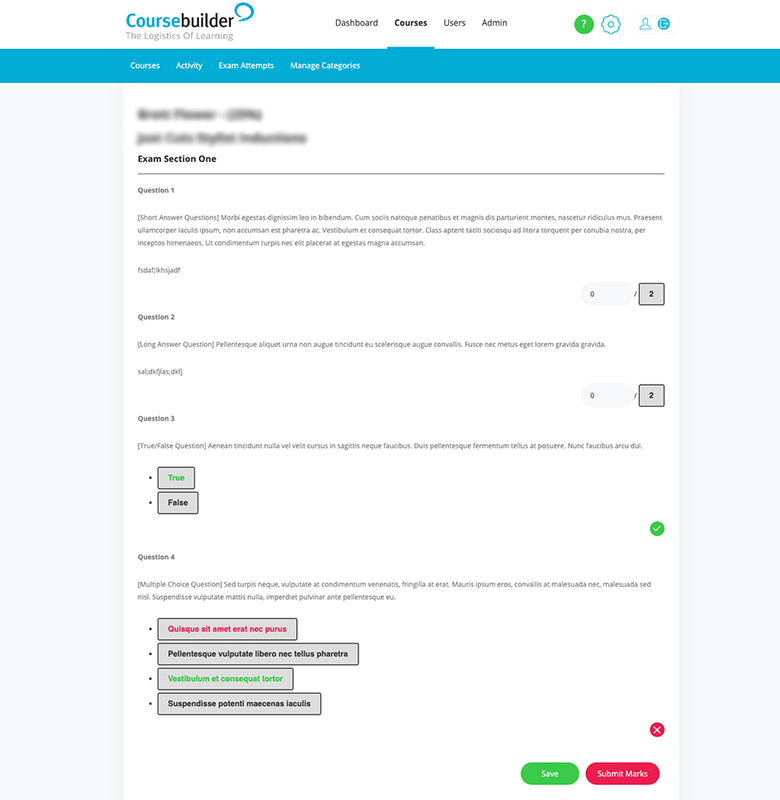 Create, Edit and Delete courses, subject material and exams as well as mark submitted exams. 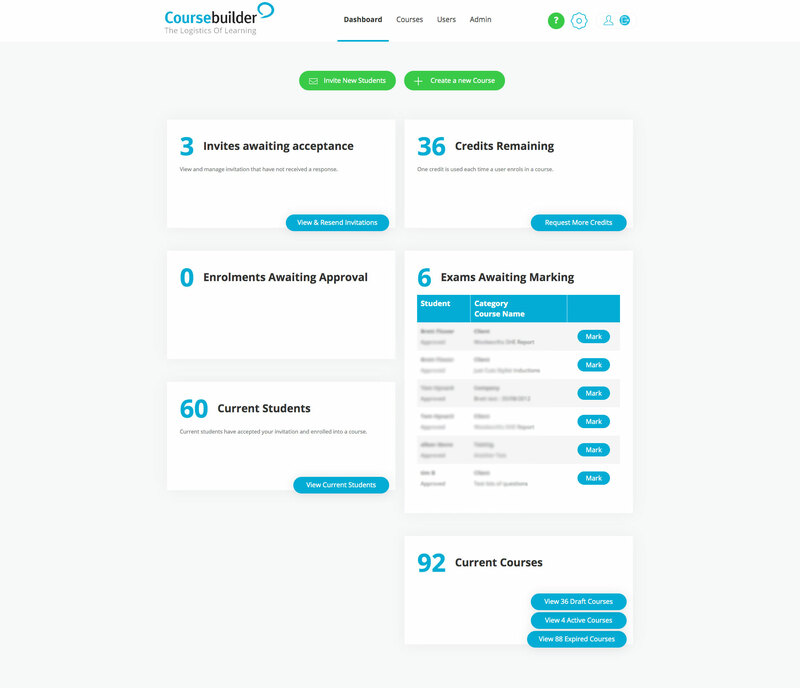 You can approve or deny access to course material, edit all aspects of a users account or report and graph an individuals eLearning progress. View and mark all submitted exams. 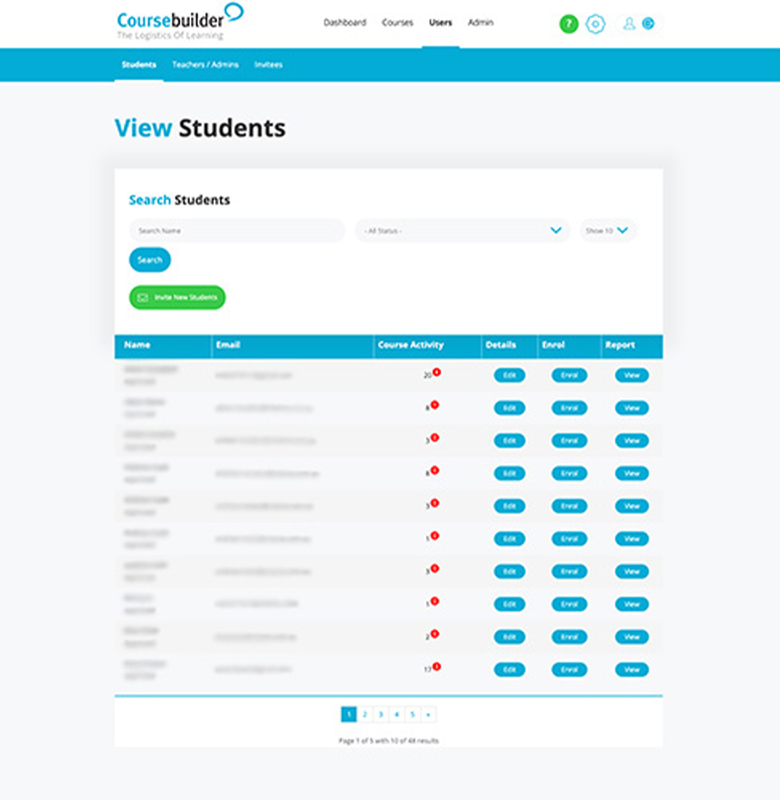 You can search by students name and sort results by marked and unmarked exams. 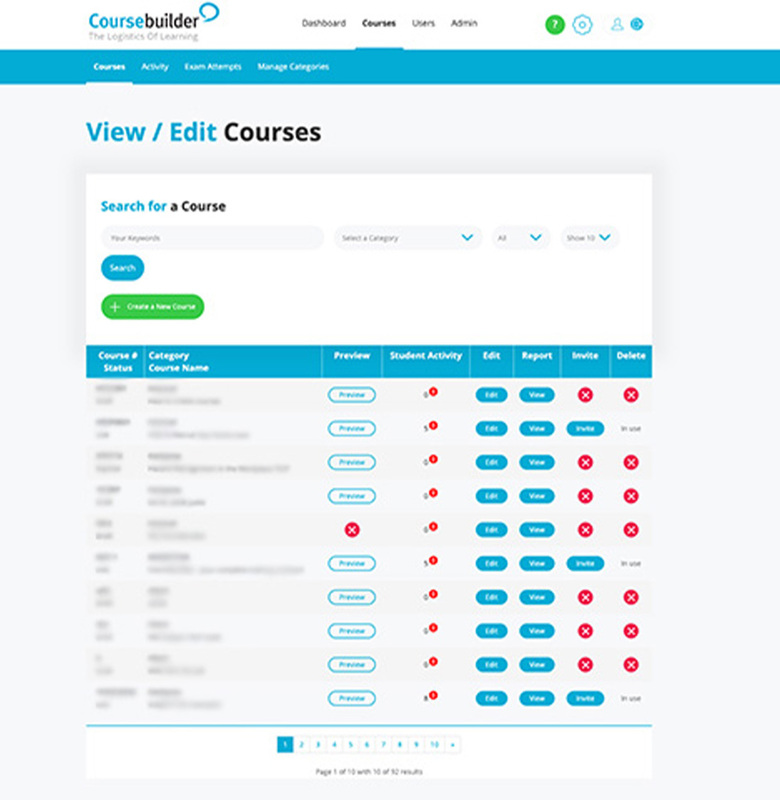 Your unpublished courses are stored here so that you can add and edit your content to build up the course at your own pace. 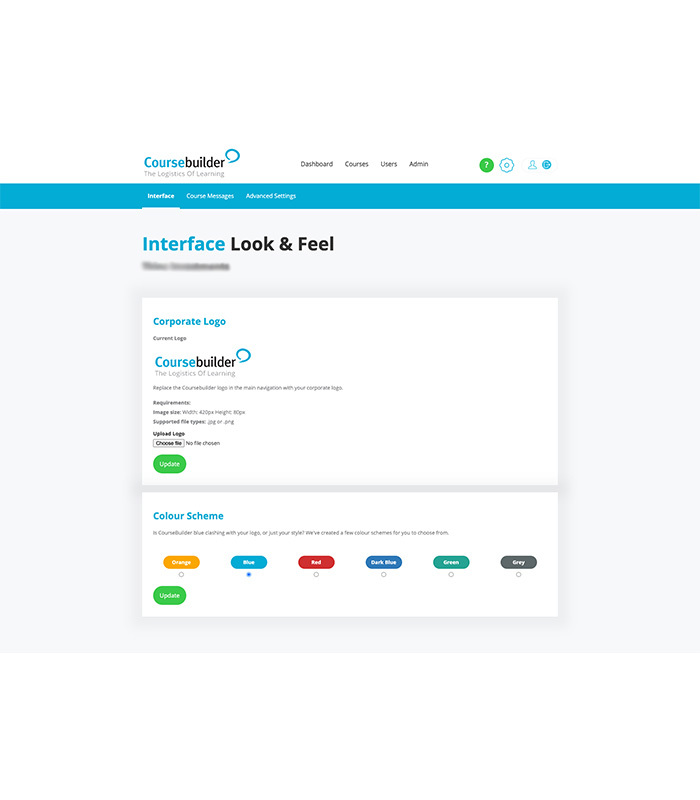 Update your Administrator details & customise your interface look and feel, including uploading your corporate logo. Set and forget or customise everything. You decide.